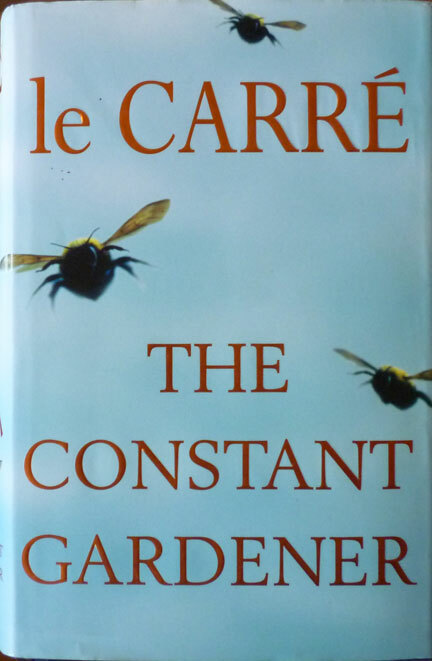 It's the UK hardback first edition/first printing of John le Carre's The Constant Gardener, published by Hodder & Stoughton in 2001. 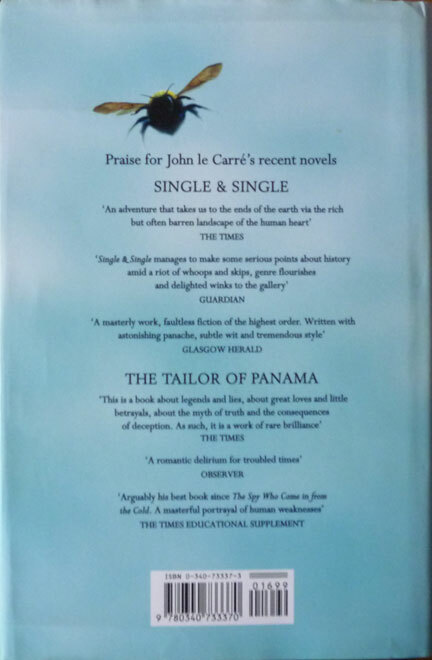 It's the story of a British diplomat in Nairobi whose wife is killed and who subsequently discovers her death may be linked to pharamaceutical big business. Starring, as it does, a "socially awkward comedy Englishman", it falls firmly within the bracket of my friend Roly's eight point assessment of later Le Carre, but it did beget a rather good 2005 movie adaptation, one of the best to spring from a Le Carre novel. 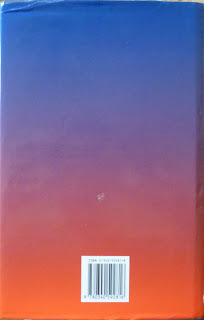 And perhaps more importantly from my perspective, it did only cost two pounds from the Brighton branch of Oxfam Books. Wahey. 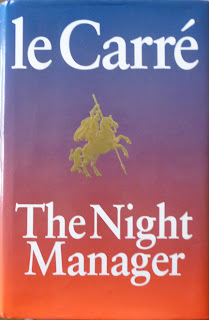 A UK hardback first edition of The Night Manager, also published by Hodder & Stoughton, this time in 1993, and with a truly horrible nineties dustjacket designed by someone who was wise enough to keep their credit off the thing. I bought this in the funny new charity shop across the way from the Lewes branch of Waitrose, the name of which I can't recall but which looks remarkably like a furniture outlet that used to squat on Penge High Street circa 1978. 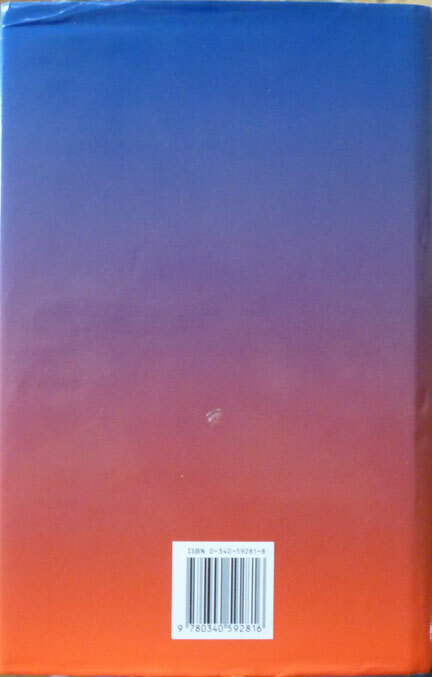 But they do also have books on sale there too (well, obviously, otherwise how would I have bought this one in there? 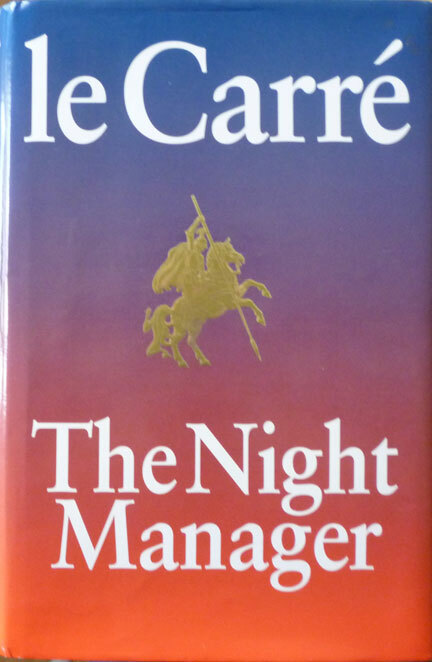 ), at the most knock-down prices in all of Lewes: this copy of The Night Manager cost me a quid. As for the story, it seems to be about weapons dealing and stars another socially awkward comedy Englishman. Hey, you want an informative and helpful precis, go to another website. We're all about the veneer round here. "The really interesting thing about Bond is that he would be what I call the ideal defector. Because if the money was better, the booze freer and women easier over there in Moscow, he'd be off like a shot. Bond, you see, is the ultimate prostitute." 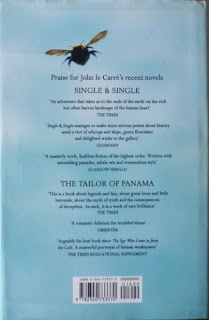 "The curious momentary suspicion one feels from time to time, that the critics have somehow got hold of a completely different version of the work one has been reading, has never invaded my mind more powerfully than in the case of Ian Fleming and his critics."